Limp Home Mode or Limp-in is an operating condition set by the Sprinter computer(s). Technicians may refer to the vehicle computer as the ECU Engine Control Unit, ECM engine control module, or PCM power-train control module. The ECM or TCM transmission control module both have the capability of setting a LHM state. LHM limp home mode is a programmed response for the computer recognizing abnormal operation of your engine/drive-train. The intent is that it limits the power available and therefore will allow you to operate the engine and keep driving, but limit any damage to your engine and drive train. There are various levels of LHM possible. The most severe is the transmission limited to one forward gear (usually 2nd gear) and reverse, with engine power reduced. LHM is not really a symptom as such, it is more a normal pre-programmed response to the recognized problem. The MIL Malfunction Indicator Light, or sometimes called the CEL Check Engine Light may or may not be lit when the computer calls for LHM. Please read this: It is important to note that all loss of power situations are not necessarily LHM set by the computer. Regular old problems like a plugged fuel filter, dirty air filter, mechanical turbo control linkage failures, plugged exhaust system, etc. may also cause a lack of power which is not computer set/related. The computer only sets LHM if it becomes aware of a problem, sometimes the sensors don't notice so it just doesn't know. It would be so much easier if MB included a "LHM Set" dash light indicator. Any diagnosing of why your Sprinter went into LHM needs to include reading the trouble codes available. It very well may require using a dealer computer scan tool. That is a DRBIII or DAD for T1N model NAFTA Sprinters (2006 and older). No Scan Tool??? Maybe this will work. Thought this might be useful if people are stuck in limp mode in the middle of nowhere and have no code reader. Couldn`t find the info on google when I searched so I asked my local hire van place to write it down as I forgot the sequence when they told me several months ago. 5.Unlock with remote button on key and start . Just tried it on my T1N and its cleared my traction control light that was stuck on, I didn`t have any lights(step 4) on to go out but it beeped when I removed the key. One caution on the above. We don't know what the 7 times key sequence really does. It likely erases all DTC history. That can be a very bad thing if you are under warranty. Although this LHM info is posted in a T1N section much of it applies to both the T1N and NCV3. Please note that the model specific information is intermixed. My personal method of determining whether there is a computer set LHM. After having not made any repairs or alterations, if your normal operation and power returns after a simple shutdown and restart then whether you have an MIL (aka CEL) lit or not, the computer was involved in limiting the power. In most cases the symptoms will eventually return. More severe forms of LHM. If a shutdown/restart doesn't return operation to normal and you have a MIL (aka CEL) lit then the computer has likely set an LHM which requires repairs and may require clearing the codes with a scan tool. Limited to one forward gear (likely 2nd) and reverse gear. The most severe level of LHM. This form of LHM is often related to transmission problems. This requires repairs and most always requires reset by a scan tool capable of communication with the Transmission Control Module TCM to restore proper operation. These are some known conditions that may cause the ECM to set LHM. In 2004 - 2006 NAFTA Models - Turbo resonator failure. Typically a seam cracks. One indication of leakage is oil being found on that cracked seam. 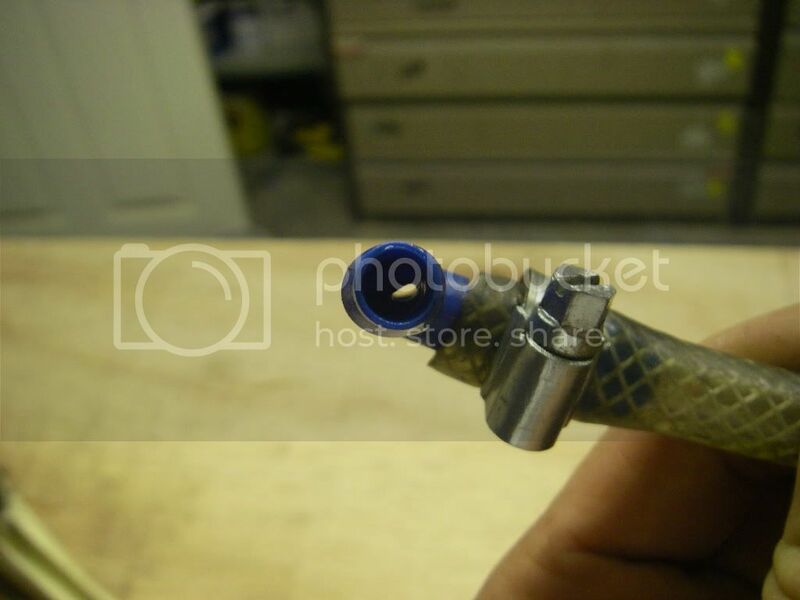 In all models - splits in the turbo outlet hoses and loose clamps are a possibility. Cracked Charge Air Coolers have been reported. Charge Air Cooler cracks don't seem to be a common failure, but should be inspected. There is a mechanical turbo blade positioner on pre-2004 OM612 engines and an electrical positioner on the 2004 - 2006 OM647 engines. Anything that may allow turbo air to leak, or anything that reduces turbo air flow to the manifold can be a problem. Turbo boost system leaks should be repaired in a timely manner. The turbo may be set to full output to try and supply proper intake pressures if there is a leak. Operating at full output all the time may reduce the service life of the turbo. The EGR has been known to cause an LHM response. On pre-2004 OM612 engines an EGR cleaning may address the problem. Post 2003 model EGR units do not seem to need regular cleaning. There is recent threads that indicate post OM612 EGR valves will respond to DIY cleaning if it is discovered that the valve doesn't snap back closed freely. DO NOT REMOVE THE EGR body SECURITY SCREWS WITH THE LITTLE REJECTION NUB IN THE TORX HEAD. defaulting to neutral(!). Engine overrev could trigger that mode. Last edited by Aqua Puttana; 07-26-2017 at 12:09 PM. The fuel system is a fluid circuit starting at the fuel tank, forward to the filter and injector pump, then to the common rail. Fuel which is unneeded for combustion will be returned to the tank though a low pressure return system that MB refers to as the "leak oil line." Fuel is heated on its path to and from the engine compartment. The ECM will reduce engine power (limp) to prevent overheating of fuel. A scan tool is able to read the fuel temperature information received by the ECU to confirm the source of the problem is a sensor crying wolf, or an actual temperature issue. ELECTRICAL CONNECTION IN THE CHIP HOUSING OF THE SENSOR. NOTE: The Crankshaft Position Sensor (CPS) recall applies ONLY to 2007 Sprinters and even then not all of that year. This sensor measures the outside air temp. It's used to "verify" the air intake sensor reading. If the Ambient Air Temperature Sensor is reading someting like 120 degrees F, when it's actually 50 degrees LHM can be unjustifiably triggered when it doesn't agree with the engine air temp. The EGR back pressure sensor is located in the exhaust stream next to the EGR bypass valve. The sensor determines the exhaust pressure before the catalytic converter. The ECM uses the EGR back pressure sensor for engine protection and exhaust gas turbocharger protection. To prevent damage to the turbocharger from overheating and/or overspeeding, the ECM monitors the exhaust pressure upstream of the turbocharger. At high exhaust backpressures, the speed of the turbocharger drops and consequently the boost pressure drops. The ECM adjusts the guide vanes in the turbocharger to regulate the boost pressure. WARNING: If the exhaust back pressure is too high, the ECM switches to limp-in mode to protect the turbocharger. The limp-in mode can only be reset by restarting the engine. If there is a fault detected with the accelerator pedal position sensor, the ECM will set the engine speed at 1100 RPM. In order to ensure a safe driving state and to prevent damage to the automatic transmission, the TCM control module switches to limp-home mode in the event of critical faults. A diagnostic trouble code (DTC) assigned to the fault is stored in memory. All solenoid and regulating valves are thus de-energized. ·	The last engaged gear remains engaged. ·	The modulating pressure and shift pressures rise to the maximum levels. ·	The torque converter lockup clutch is deactivated. ·	Move selector lever to "P". ·	Wait at least 10 seconds. ·	Move selector lever to D: 2nd gear. ·	Move selector lever to R: Reverse gear. The limp-home function remains active until the DTC is rectified or the stored DTC is erased with the appropriate scan tool. Sporadic faults can be reset via ignition OFF/ON. 0228-ELECTRONIC THROTTLE CONTROL SYSTEM - ICE BLOCKAGE. The ECM recognizes the Throttle plate is stuck during extremely cold Ambient Temperature operation. The throttle plate goes through a de-icing procedure. If the throttle blade still doesn't move this fault sets. The MIL will not illuminate. ETC light will illuminate. The vehicle will be in Limp home condition, limiting rpm and vehicle speed. With a scan tool, View DTCs and record the related Freeze Frame data. NOTE: This DTC sets in extreme cold Ambient Temperatures with the throttle plate stuck by the time the vehicle gets to the dealership the condition may be corrected. NOTE: Diagnose any other DTCs that may also be set before continuing. Remove the Air Cleaner Assembly from the Throttle Body. Check for any signs of a foreign material (ice or dirt) on the Throttle Plate or in the bore causing the Throttle Plate to stick. If the boost pressure sensor fails, the ECM records a DTC into memory and continues to operate the engine in one of the three limp-in modes. When the ECM is operating in this mode, a loss of power will be present, as if the turbocharger was not operating. The best method for diagnosing faults with the boost pressure sensor is with a diagnostic scan tool. Refer to On-Board Diagnostics in Emissions Control System for a list of Diagnostic Trouble Codes (DTC's) for certain fuel system components. Last edited by Aqua Puttana; 01-03-2013 at 01:24 PM. Last edited by Aqua Puttana; 04-21-2010 at 12:27 AM. Another post that may be related to LHM. STP57 does a good job describing the operating conditions as "I experienced a substantial loss of power. I was able to drive it home, it just didn't have any passing speed & it never got over 65 mph." Thanks to STP57 for that description. I'm certain it will help others identify the LHM computer setting. That said, it remains to be seen whether STP57's problem is just a fuel related issue or an actual Limp Home Mode setting condition. Classic Turbo Resonator failure - it likely has a weak joint in the plastic body of the resonator - it will "heal itself" when you shut the unit down and it cools a bit, BUT when you put a heavy load on it again (i.e. climbing a hill or accelerating into traffic) the joint will open up again enough to lose turbo pressure - the result is the computer puts the engine in LHM (Limp Home Mode). I suggest you replace the original equipment plastic resonator with the Jim Riordan aluminum replacement. Last edited by Aqua Puttana; 04-21-2010 at 12:29 AM. This problem was on an OM647 engine, but could apply to others also. After some troubleshooting and testing it was found that it was the turbo vane actuator linkage being frozen that sent the ECU to LHM limp home mode. Thanks to Mwscwan and of course Doktor A. Last edited by Aqua Puttana; 04-21-2010 at 12:30 AM. In relation to LHM thrown , I have a 2002 208Cdi sprinter , which I found that the boost pressure valve/sensor wire were broken(1 only). Resoldering the wire definately kept the turbo hoses inflated , so I now have what appears to be pressure. When the power loss happened , I was doin around 80 km/h , instant power loss and a maximum of 2900-3000 rpm. When the wire was found I figured it would instantly increase my power back to normal. This was not the case. Do error codes , fix themselves or do they need to be CLEARED? Would this instant power drop have caused turbo damage? Prior to wire correction , the turbo inlet/outlet hosing would not stay hard /inflated.Now it does , but I still only have 3000 rpm maximum. The van drives OK , but lacks that power boost which is quite noticeable. Also ...different problem...What controls the glow plug light? Mine is staying on. can I pop a relay/fuse to stop glows? Coming into summer here , dont need to glow at the moment. First a hale and hearty welcome to the forum. I have copied your question to another section because this LHM thread in Write-ups will be taken way off course if people answer your multiple questions here. I'm as good as anyone (better than most) at getting off topic, but the Write-ups section is a more How-to and informational section than a multiple questions area. No big problem so no worries. It's just my perception of order. Last edited by Aqua Puttana; 09-19-2009 at 12:43 AM. The OM612 NAFTA engines (2001-2003) have a low fuel pressure monitor system and indicator light that shows on the extreme left side of the instrument panel. Does your MIL maintenance indicator light (sometimes called the CEL check engine light) come on at the time of your problems? You really should have the codes scanned. It sounds like you have a deteriorating condition causing your problems. A total shot in the dark if you are not getting a MIL coming on is to change the fuel filter. It is not very expensive and a dirty filter has been known to affect performance without turning on the MIL. I recently learned that the 2004 models and newer do not have a low fuel pressure monitor system for the 1st stage pump. Last edited by Aqua Puttana; 04-21-2010 at 12:32 AM. Ahh this post explains something that was happening on my sprinter a while back that had me very confused. I run a twin tank veg oil system on my 1996 sprinter. When the engine is cold i run diesel and when the engine has warmed up i run wvo. During the period of setting up my system i had a few teething problems. Mainly with fuel starvation. 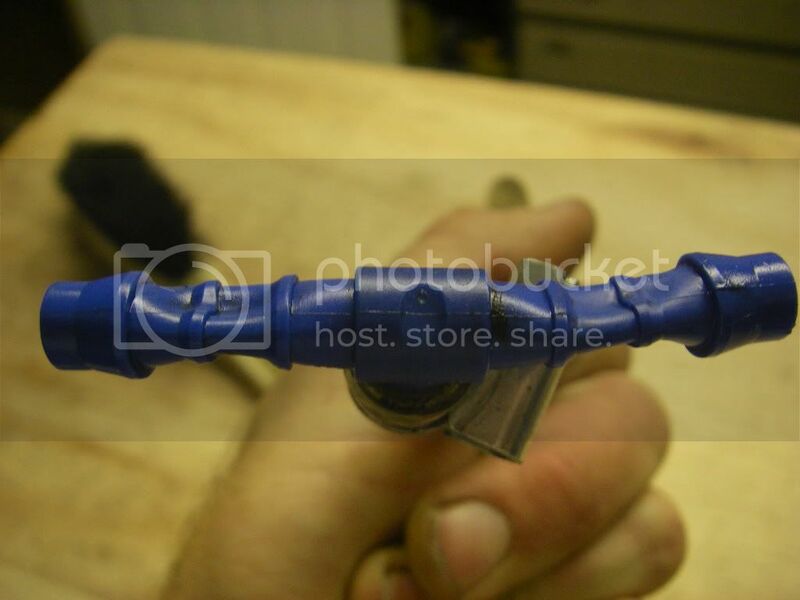 Some of the plastic connectors i'd put in the modified fuel system collapsed partially, see photos below. This created a blockage that whislt was not a problem at lower revs and loads when i tried to boot it up a hill my engine would mysteriously run out of power. I assumed that if i backed off and ran on diesel again the problem would go away as i thought the veg oil was the problem. Nope the engine remained in this mode, able to rev and tick over but with seemingly no power until i swithced off the engine left it for a couple of mins and then was able to continue on my merry way. Once i tracked down the collapsed pipes (there were 3 of them ) the problem disappeared. I'm guessing it was the engine swtiching into this LHM mode when not enough fuel was available. When i'm not kitesurfing or surfing i'm making surfboards!